In the 16th Century, the great metaphysical poets of the Elizabethan age, John Donne and Andrew Marvell amongst them, were writing about parallels and allegories, between physical matter and the human experience, in their work. These were early literary and artistic forays into the imagining of virtual worlds. The metaphysical poets lived at a time when there was something of an intellectual and spiritual crisis going on in Western Europe, triggered partly by the introduction of the Scientific Method and also the reformation of the Church of the Holy Roman Empire across Europe. The rise in metaphysical poetry at that time tells us something. 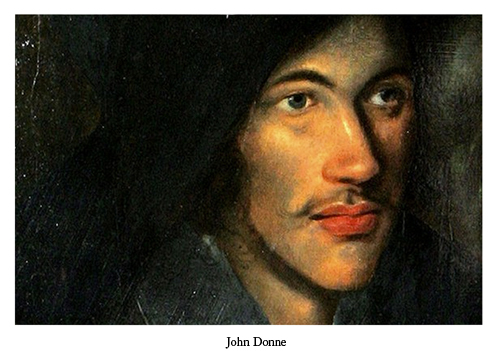 It was a time when existing ways of looking at things no longer made sense in the way they’d used to, and artists like Donne and Marvell found new ways to communicate through the confusion. Their words, inspired mainly by nature and art, wove together fantastical mind-expanding metaphors, born from their imagination. They used the metaphysical to attempt to make sense of the increasing complexity of Elizabethan society. They did this by employing literary devices like the use of paradox. Metaphysical poetry was a mind expanding masterclass in the lyrical crafting of new perceptions and the possibilities connected to the human condition. Today, the ‘meta’ is current again. Digital technology, big data and code are all rewriting what we know about human existence and creating new, higher levels of conscious awareness about the human condition. To manage and make sense of code as an emerging all-pervasive influence around us, there is a meta-level understanding to grasp, about how we thrive and develop new forms of collective intelligence as a connected species. The metaphysical, macro perspective has value to us today in the same way as it did five hundred years ago. It is partly physical and directly related to us. It is also partly abstract, meta, and not of us, so we can think beyond our own interests and the narrow confines they contain. In this sense, we can be greatly informed by the poetry and the metaphysical experiences of our ancestors. In confusing times, the poets were the people who brought truth and beauty in ways that were intriguing, and through which humans could begin to understand and make sense of a maelstrom of change. Poets and jesters and metaphysics rising. Intriguing connections.